Plot Summary: Shirayuki was born with extremely rare and beautiful red hair. When the Prince of her home country asks her to become his concubine, she decides to run away from her home. While making her escape through a forest, Shirayuki has an encounter with a boy named Zen, the Prince of a neighboring country. 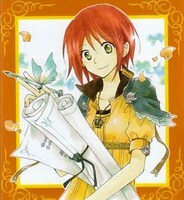 Shirayuki decides to join Zen in his country, in the pursuit of a better life, respect, and romance.